Do you need more space, better functionality, improved “curb” appeal? Well designed and built additions and modifications can achieve these. 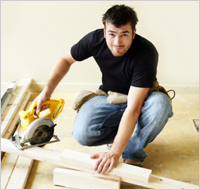 Home Additions, Room Addition, Bathroom Additions, Kitchen Addition or living room additions. How long do I plan to stay in my home (the longer you stay the greater your return on investment)? Do I have a home owners association? What are their regulations? What types of homes look best with additions? How many stories can I build? How much room will be left in the yard after my addition? Can I handle the noise, dust and disruptions of construction? Can I move into a rental property during the construction? Help you take steps to reduce the inherent stress associated with this interruption by: – Creating a temporary kitchen during construction, if necessary – Keeping a clean and safe job site – zip walls to keep construction debris away from the rest of home, portable bathroom for our crew, prompt trash removal, etc.